When PM Modi announced his pro-tourism agenda for the country, I felt that he was addressing me personally. For I’ve been working on setting up a Company that does just that. Modi spoke of tourism’s contribution to employment and economic growth, development of new destinations and skill development in the travel and tourism sector. And these directives, given just a few months ago by PM Modi, actually form the cornerstones of our Business Model at V Resorts, a company I’ve been building for the last 3 years. V Resorts is a boutique chain of resorts located at offbeat places run and supported by local communities. 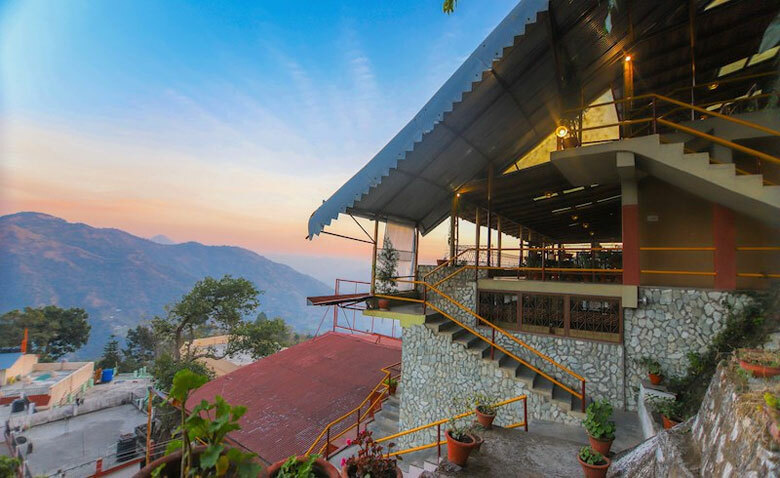 By Offbeat, we mean that these resorts are set up near small towns or villages with a population of less than 5000, away from the noise of busy tourist destinations. Our resorts are often the only commercial centers in the area and we rely heavily on local resources to help run our places. Our idea is to introduce the harried Indian travellers to new and unexplored places in India i.e. develop new destinations for tourism. And just like Modi, we recognize that economic growth shall occur as the destination becomes more and more popular. 1 – Local People – Our recruitment is entirely local. The idea is not to hire cheap labor, but to develop skills (in our training Center at Delhi) to be able to provide great service levels. Moreover, this enables people to work near their homes thus helping with reverse migration and consequently low attrition for us. a. At V Resorts Sattal, 13 out of the 14 staff members are from the neighboring Surya Gaon and have been with us for the last 3 years. Apart from regular service, these boys regale guests with local stories, activities and form the best guides to Sattal. b. At V Resorts Bhimtal, you can meet Basheer Ahmed Khan, a connoisseur of fresh herbs plucked and taken directly from the forest to make the simplest of all dishes taste wonderful. Mr. Khan conducts botany tours for our guests. 2. Local Activities – We develop each destination according to a particular theme which it is suited for, such as Sattal – birding destination, Rajaji- yoga destination, etc and we hire and train locals to carry out these activities and tours. 3. Local Food – Since both the cooks as well as produce is local, our menus are based on local cuisine, which is not available in the cities. In Sattal, you shall have the famous kumaoni Aloo, in Pauri you can try the Garhwali Dal, in Auwa the authentic Dal Bhati Churma and so on. 4. Local Environment – In each of our locations, we’ve had to design effective waste management systems so as not to hamper the local environment. We use solar power for lighting, rain water harvesting and water conservation techniques. So you see, our business is simple – develop a new destination, establish a resort, support the local villages by providing employment, developing new skills, supporting the local trade, developing the local markets etc and provide the customer with a true ‘Make In India’ tourism experience.